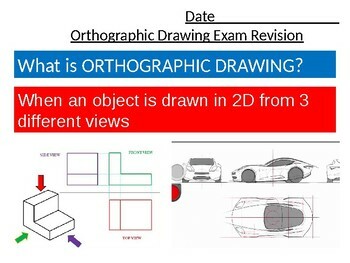 A suggested 1 hour revision lesson on the theme of ‘Orthographic Drawing’. 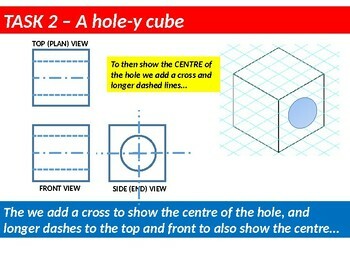 Powerpoint so can be used on the board or printed as a series of activities and worksheets. 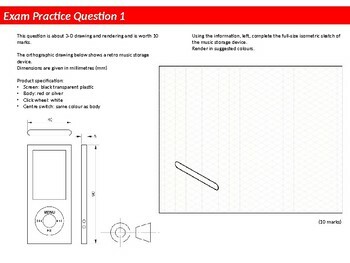 33 slides in total with some filler simple activities, exam style questions and information slides. 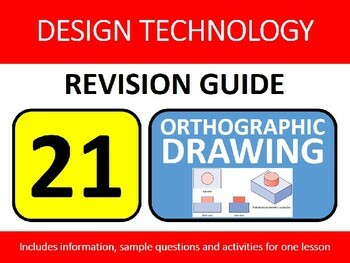 I use these as one off lessons for lower school groups or revision-style lessons with upper school groups. Very little preparation needed other than some props and printing the appropriate slides.